As we reported last week, the Ways and Means Co-Chairs released the preliminary budget the Ways and Means Subcommittee on Human Services will use as a starting point as they work to develop specific budgets, including the DD Services Budget. Members of Ways and Means Committee and Subcommittee on Human Services need to hear from you about why DD Services, Direct Support Professional wages, Case Management funding, Family Networks and the Fairview Trust matter to you. 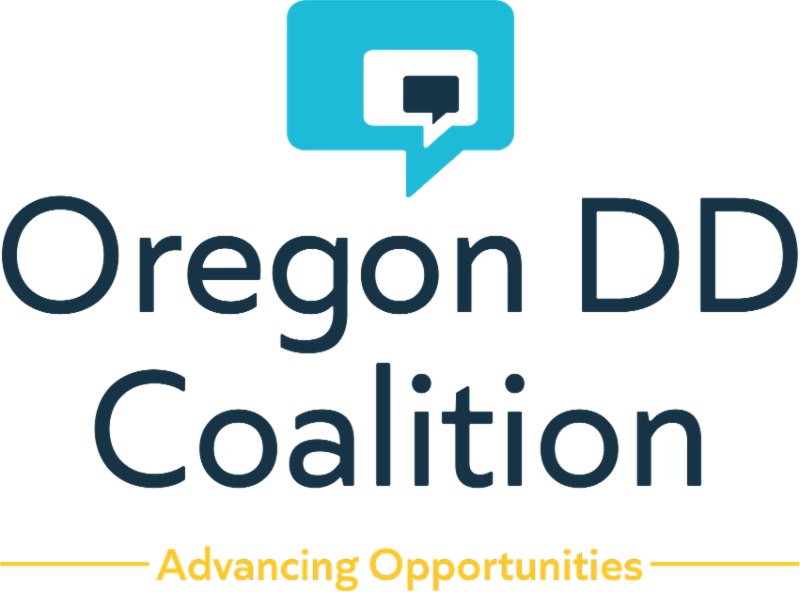 Unless legislators hear about the importance of these programs, vital funding for supports that Oregonians experiencing I/DD depend on each day may be cut! ONE MORE BUDGET ROAD SHOW MEETING LEFT! Members of the Joint Committee on Ways and Means have been traveling the state to hear from Oregonians about their priorities as it relates to the state budget for 2019-21. So far, they have made stops in Coos Bay, Pendleton and Redmond. Thanks to all the advocates who have made an effort to get to these important hearings and share your story, whether in person or in writing! There is one more budget road show opportunity to share your story advocate for the developmental disability services that you rely on. The committee will be holding a final hearing to receive public testimony in Portland on Thursday, March 21 st from 5:30 to 7:30 pm at the Cascade Campus of Portland Community College, MAHB 104 Auditorium, 5514 N. Albina Ave.
Just a reminder about what to expect if you go. Be prepared for large crowds so plan to arrive at least one hour early, especially if you want to sign up to give testimony. The sign-up sheet for testimony fills up quickly. The committee will not have enough time to hear from everyone but please come prepared with one to two minutes of remarks about the importance of DD Services funding. If you are not able to attend this final budget roadshow event, please send an email to waysandmeans.budget@oregonlegislature.gov and ask the Ways and Means Committee to fully fund DD Services and why it is important to you! Be sure to include your name and city of residence in your email. • 1:00 pm / HR B: Senate Committee on Education will be holding a public hearing and possible work session on SB 963 , a bill that modifies the allowed and prohibited uses of restraint of students by public education programs. o Public hearing on HB 2990 , a bill that establishes a task force on family engagement in education. o Work session on HB 2025 , a bill that revises the preschool program administered by the Early Learning Division and establishes the program as the Preschool Promise Program. • 3:00 pm / HR B: Senate Committee on Human Services will be holding a public hearing and possible work sessions on SB 809 , a bill that requires the Department of Human Services and Oregon Health Authority to prescribe by rule criteria for making fitness determinations. o Public hearing on HB 3165 , a bill that requires the Oregon Health Authority to provide planning grants to 10 school districts or education service districts to evaluate community needs for school-based health services. o Work session on HB 2831 , a bill that provides funding to peer-run organizations in the Portland metropolitan area, southern Oregon region and eastern and central Oregon region to operate peer respite centers to provide peer respite services to individuals with mental illness who experience acute distress, anxiety or emotional pain. o Work session on HB 2563 , a bill that directs the Oregon Health Authority to adopt rules requiring infants to be screened to detect certain diseases. • 1:00 pm / HR B: Senate Committee on Education will be holding a work session on SB 16 , a bill that specifies the types of licensed health care practitioners authorized to perform assessments or examinations for purposes of determining special education services eligibility. • 1:00 pm / HR E: House Committee on Judiciary will be holding a work session on HB 2654 , a bill that requires youth to consult with legal counsel, in person, by telephone or by video conference, prior to custodial interview with peace officer and before waiver of constitutional rights. 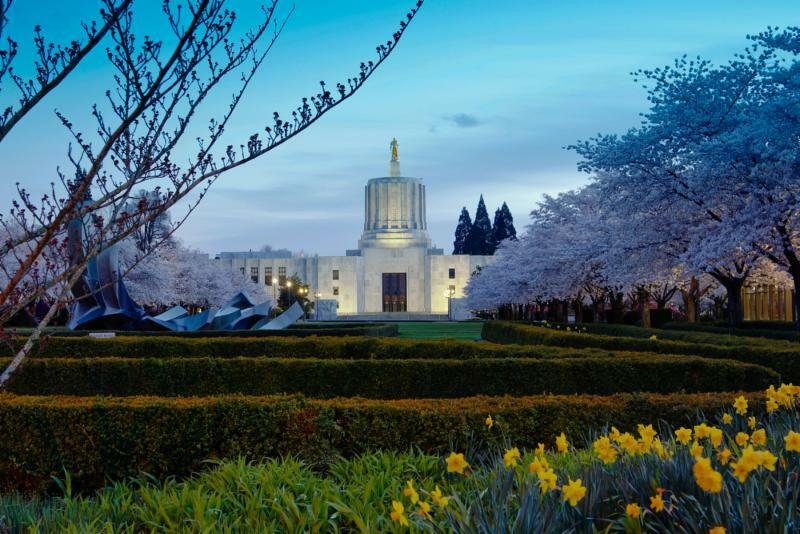 o HB 3000 , a bill that directs the Department of Human Services to deduct expenses for medically necessary guardianship services from the recipient's income when calculating eligibility for assistance provided by Oregon Supplemental Income Program. o HB 2302 , a bill that appropriates moneys from the General Fund to the Department of Human Services to administer the general assistance project. o HB 2987 , a bill that requires public institutions of higher education to bypass developmental educational requirements and placement tests for each student who receives grade on approved high school equivalency test indicating student is fully qualified to bypass requirements and tests. o HB 2246 , a bill that directs the Early Learning Division to develop a plan for ensuring children seamlessly transition between mental health services. • 8:00 am / HR C: Senate Committee on Judiciary will hold a work session on SB 378 , a bill that requires that a court-ordered fitness to proceed examination and filing of examination report occur within 14 days of examination order if defendant is in custody. o Public hearing and possible work session on SB 221 , a bill that directs the Department of Human Services to conduct a study about children and youth with specialized needs and to report the results to the interim committees of the Legislative Assembly related to human services on or before September 15, 2020.
o Public hearing and possible work session on SB 1 , a bill that establishes a Statewide System of Care Task Force. o Work session on SB 475 , a bill that directs the Department of Human Services to conduct monthly, in-person visits with child or ward in substitute care that include updates on academic status and progress. o Work session on SB 19 , a bill that requires the Department of Human Services and the Oregon Health Authority to adopt rules for licensing of each type of adult foster home, including those providing residential care to older adults, persons with physical disabilities, persons with intellectual disabilities and persons with mental illness.